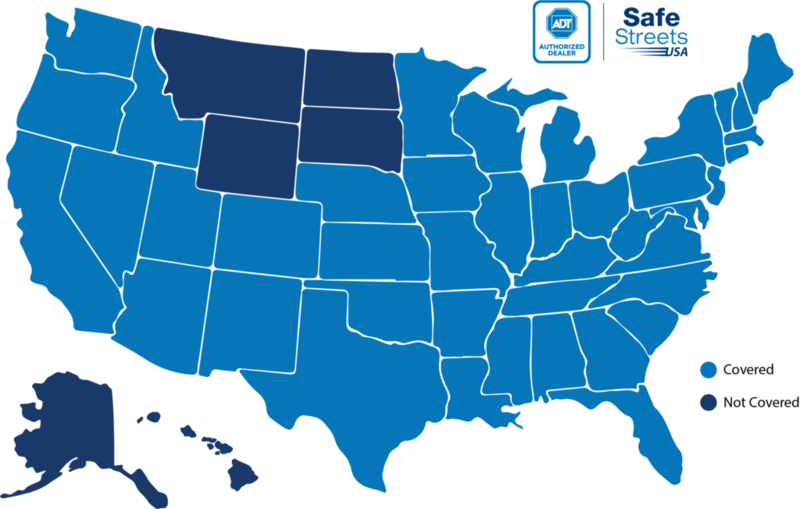 SafeStreetsUSA is one of ADT’s oldest, largest and most respected Authorized Dealers. As an ADT Authorized Dealer, we only sell and install ADT-monitored security systems. Our ownership group and senior managers have extensive industry experience and are knowledgeable on the very latest industry developments regarding products, service and technology. We operate in 44 states and the District of Columbia and have a network of nearly 300 trained Installation Consultants across our footprint to provide professional installation and service to every one of our customers. In fact, with our footprint, we cover over 90% of the U.S. population. We also offer same day installation throughout most of our service area. Tired of those four hour windows waiting for your service provider to arrive? With SafeStreets, we have a one hour window when we will arrive at your home. In fact, nearly 99% of our installation consultants are at their first appointments within a one-hour installation window. Not only are our people well-trained on the installation of your system, we also train you how to use your system so you will know how to use all of its features before we leave. If you do have a question after we leave, you can call us and a real person will answer your call. In addition to our highly trained staff, we use only the finest equipment authorized by ADT. From basic security systems to premium ADT Pulse home automation systems, you can be assured you will be receiving a professionally designed and installed security system with the features you desire. The right culture and a “tone at the top” are critical to success in any organization and SafeStreetsUSA is no different. For us, we set a high standard we call the “SafeStreets Standard”. Every employee in our company strives to achieve this standard in every interaction we have with our customers, vendors and employees.